The holidays can do a number on you. The stress of getting everything ready and perfect can take a toll on your time management skills and throw everything out of whack. What you may not be thinking about is that it can also take a toll on your flooring. A little prevention and preparation now can get your floors back to their pre-holiday glory. The methods that you use to clean the floors in your home vary based on the type of flooring you have in that particular room. Dust mops with dry pads, work well on hardwood, laminate, tile and other hard flooring types when you sweep up dust and dirt. Wet pads are great for floors where you don’t want soaked mops cleaning up dirt and food splatters. This includes flooring types such as laminate, bamboo, vinyl, hardwood that isn’t waxed and other types of flooring that repels water well. Waxed hardwood floors should not be touched with anything wet, so keep to dry pads or brooms. If you like using brooms, try to find one with softer bristles to help protect your flooring. 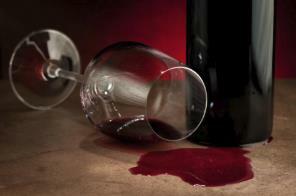 Don’t be afraid to run a vacuum over your cork or other hard flooring types when you’re vacuuming your rugs. Just a note that when you do use store-bought products on your flooring be sure to follow the directions carefully. You may also want to spot check that the cleaner that you’re using isn’t going to damage your flooring. This is a good situation where it can pay to contact the professionals about the best products to use on your flooring as they have seen the damage that the wrong cleaner can cause on your particular flooring. Your throw rugs can be a blessing to your hard flooring. They can take the beating that your wood, tile, or other floor types would otherwise withstand. Rugs are easily replaced if they start to look weathered unlike your flooring. Your floor can stay safe underneath this comfy and stylish barrier as long as you keep it clean. There is the potential for harm to come to your supposedly safe floor under the rugs if you don’t take a little time to keep them clean. They should be shaken out on a regular basis to remove dirt, fur, small stones and other debris that can be brought in on shoes and paws. Not shaking these particles out could mean that they are rubbing against your floors under the throw rugs. Small stones could be scratching your floors due to skipping this step. Don’t just vacuum your rugs, but pick them up to sweep underneath them. This will help to improve the way that your throw rugs look as well as allow them to do their job in protecting your flooring. The holidays aren’t completely over yet, so the time is perfect for creating your very own pre-emptive strike kit to keep on hand in case of any spills or accidents on your flooring when guests are over. Take a small handled box or another storage container, and fill it up with all of the things that you may need to use on your flooring. The cleaners, spot removers, rags, sponges, brushes and dustpan with a small hand-held broom, or things you often have to hunt down when a spill occurs, should all be put into your container. Put this container in an out-of-the-way, but convenient, place such as your hall closet. This way, when an accident occurs, everything is quickly at hand. Cleaning up a mess quickly may help contain the damage to your flooring, and your guest will be able to put it out of their mind quicker. No one wants to be that guest that caused a huge mess, and it can weigh on his or her mind no matter how many times you tell the person that it will be okay. Actually seeing you clean it up like it never happened will reassure your guest of that he or she is welcome again in the future without you having to say it over and over again. It’s one thing to try to DIY a mess on your flooring when it’s the middle of a holiday party and there’s no one else to help. However, a simple DIY cleaning won’t help your floor to be as clean as possible. You may find that a professional cleaning may be exactly what your floor needs to get it looking as it did after it was first installed in your home. Sometimes, no amount of cleaning, professional or otherwise, will make your floors look beautiful again. You should consider how refinishing them could breathe new life into your home. This can offer significant cost savings while giving you a beautiful floor. There is also the possibility that it’s just time for you to buckle down and invest in your home. After the holidays can be the perfect occasion for having new flooring installed. Your home will look like new again. Floors can take a beating with all the holiday traffic and revelry. Keeping them clean and in good shape makes a difference in the appearance of your whole house.